The Contortionist have premiered the video for their new version of The Parable with Prog. It appears on the “Rediscovered” edition of their 2014 Language album, which contains four live tracks beyond the original list, each with its own video. 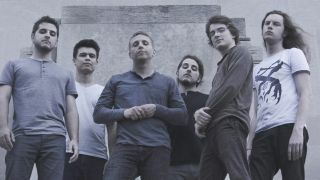 Vocalist Michael Lessard tells Prog: “We wanted to sit down with the songs that we’ve spent the last 14 months playing around the world, and give people a chance to see them in a new light. The Contortionist are currently touring North America with TesseracT, with European dates to follow in February.